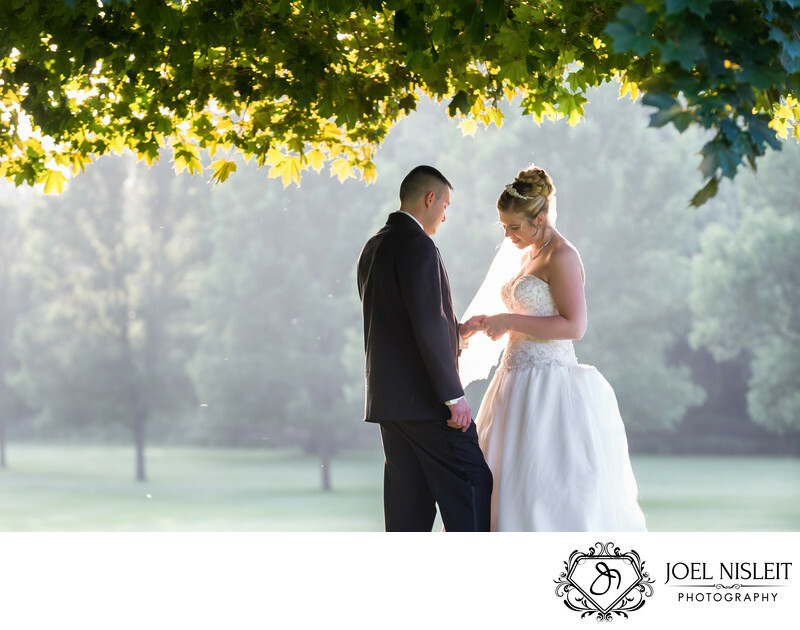 Golden evening light and plenty of open space allowed for a tender, fairy tale portrait of Jon and Heather sharing a moment outside at their Beaver Dam Country Club wedding reception. There was no direction needed for this shot. Beaver Dam Country Club is a great golf course wedding venue offering beautiful outdoor portrait options and spacious reception accommodations. You wouldn't have to go anywhere else for pictures!